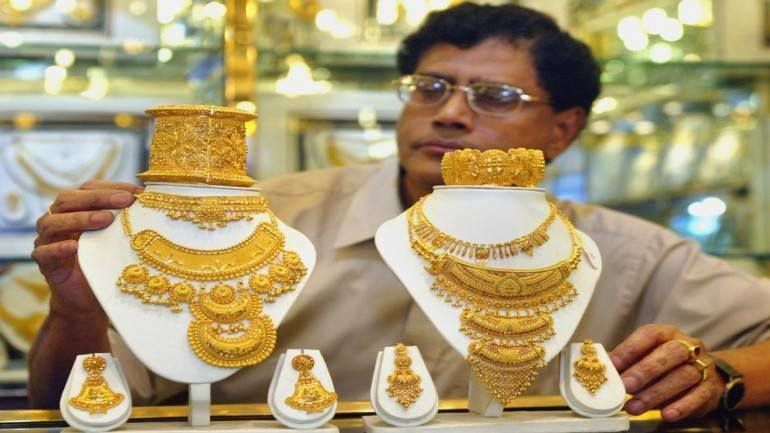 Jewellers welcomed the decision to fix the goods and services tax (GST) rate for gold at 3 percent and for rough diamonds at 0.25 percent, saying the move will help boost the industry. They said the government has understood the need of the bullion industry and created a special category in the GST. “We welcome the government’s decision of 3 per cent GST for gold and 0.25 per cent on rough diamonds. We are happy that the Centre has created a special category, which will help the industry,” All India Gems and Jewellery Trade Federation (GJF) Chairman Nitin Khandelwal told PTI here. He said the GST rate is likely to be below the fixed 3 per cent as the government has also announced input tax credit. However, there will be more clarity next week, when we meet the Finance Minister in this regard, he added. Echoing a similar view, former GJF chairman G V Sreedhar said even as it will be challenging it will be better for the industry. “The GST rate at 2 per cent would have been an ideal. At 3 per cent it will be challenging for the industry, but still it is better as the government has created a special category for us in the GST,” he added. On rough diamonds, he said, it should have continued at 0 per cent instead of 0.25 per cent as the country is the largest producer of polished diamonds in the world. The GST Council, chaired by Finance Minister Arun Jaitley and comprising state counterparts, on Saturday decided to tax gold at 3 per cent and rough diamond at 0.25 per cent. Also, under GST, input tax credit can be claimed for gold jewellery manufacture. Earlier, World Gold Council Managing Director, India, Somasundaram PR had said GST is the biggest indirect tax reform in India and is intended to bring transparency, increase tax compliance and improve transaction traceability. “This is an encouraging step in the current context to stabilise the industry and address the concerns of the millions employed in the industry,” he added. Manubhai Jewellers Director Samir Sagar said it is really good to see that the government has been considerate towards the gems and jewellery industry and put it under the 3 per cent slab. “This will have a positive impact on the sector and encourage it to be more streamlined. Consumers and jewellers will take the first few months to adapt to the new rule but once that phase ends, the market will stabilise. “We think this new bill will bring about stability in processes and create a level-playing field for businesses in the industry,” Sagar added.